You know what they say: you’re only one cycling class away from a good mood. And if you don’t think that’s what they say, you’ve clearly never been in the saddle at a high-energy studio. 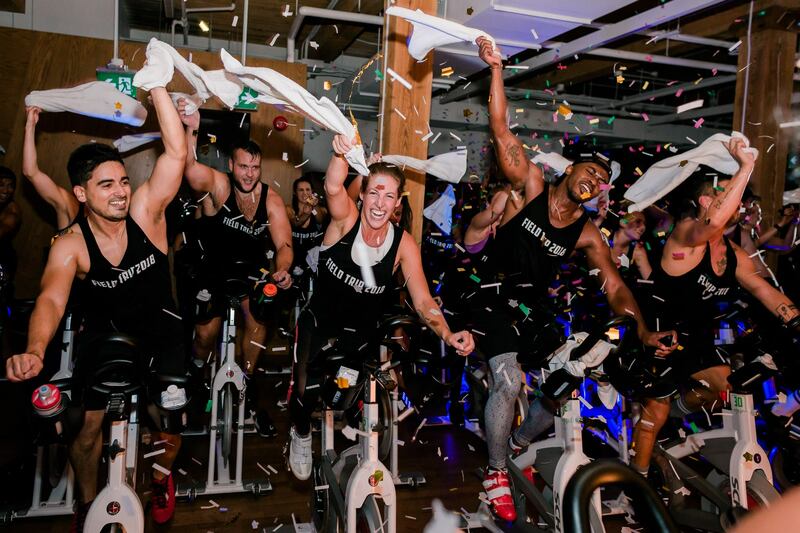 So, clip in and join Toronto’s own revolution with these indoor cycling classes that will have you breaking a serious sweat. Now touting locations in downtown, Uptown, and Summerhill, this studio features a high-energy class with Top 40 dance tunes and disco ball lighting that will make you feel like you’re shakin’ it at the club. There’s also a free weight portion halfway through the class to tone your arms and shoulders for a true full-body workout. 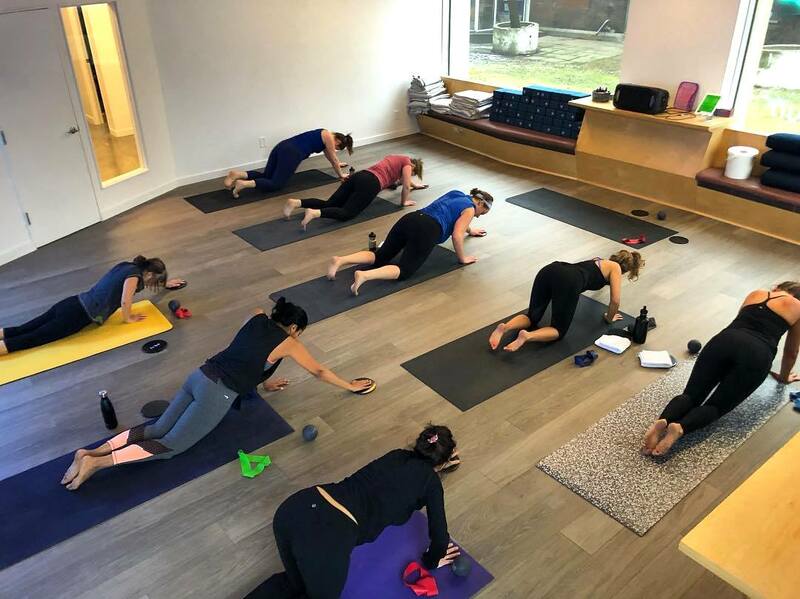 Popular amongst the Soho House crowd because of the free classes they gain as part of their membership, SPOKEHAÜS in CityPlace caters to the decidedly young and bougie crowd. 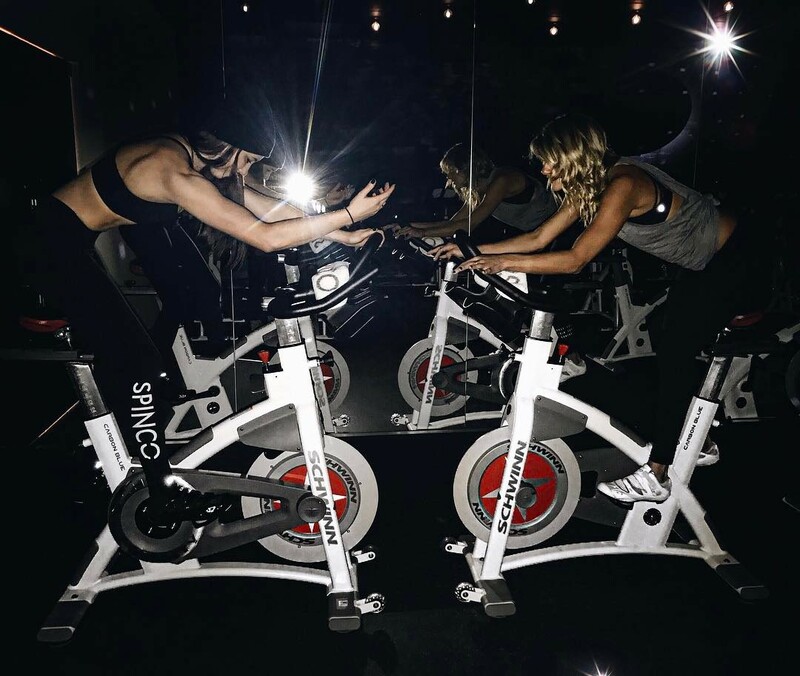 Described as “a full-body cardio party on a bike”, the candlelit studio offers a range of classes including early morning options, so you can get your pedal on before heading to the office. 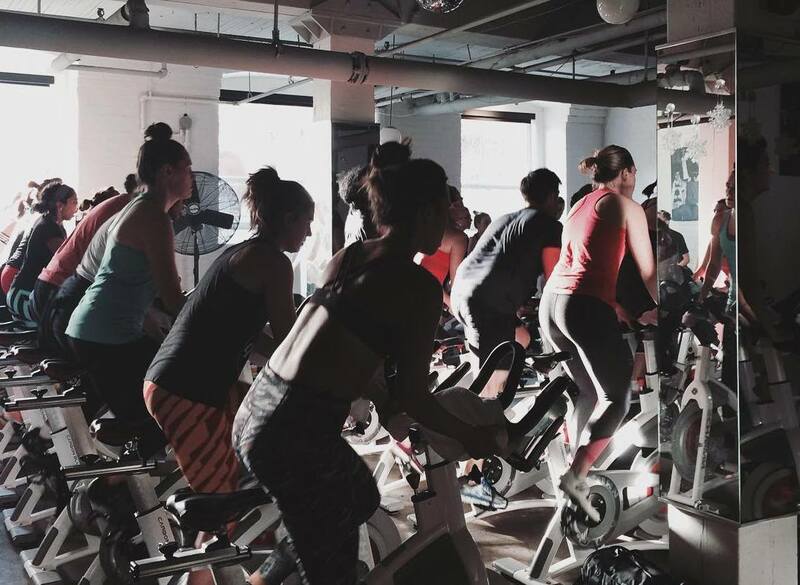 CycleBar Leaside is one of only two Canadian locations of this American chain, and it doesn’t disappoint. Decked out in state-of-the-art sound equipment, there’s a massive video screen behind the instructor (dubbed a “CycleStar”) that displays riders’ scores and encourages friendly competition. Classes typically incorporate weights into the workout but use three- or six-pound weighted grip bars instead of free weights for an added challenge. 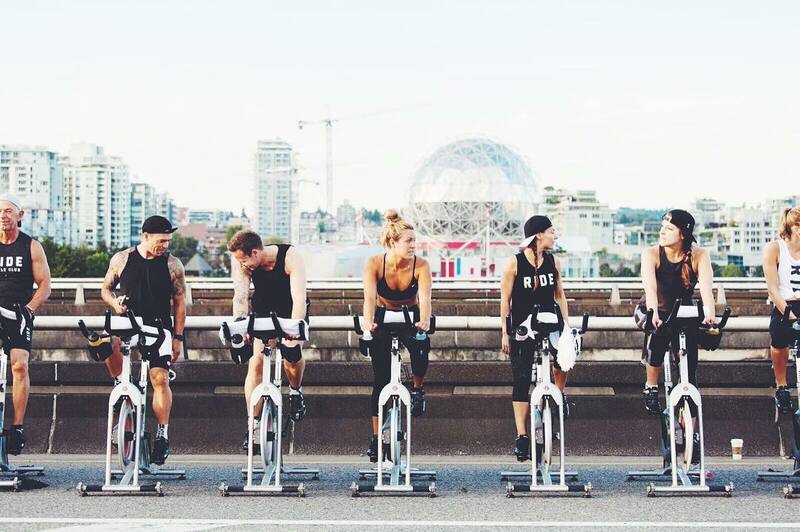 No list of cycling spots in the city would be complete without mentioning SoulCycle. With its instantly-recognizable yellow decor and celebrity cache, there’s a cult-like appeal to this New York-based studio, which now boasts two Toronto locations: one on King West and another in Yorkville. Uplifting mantras like, “You’re a masterpiece!” are often repeated in tune with the music and are meant to push you through an intense workout that incorporates ab crunches, push-ups, and a shadowboxing intermission with two-pound weights. 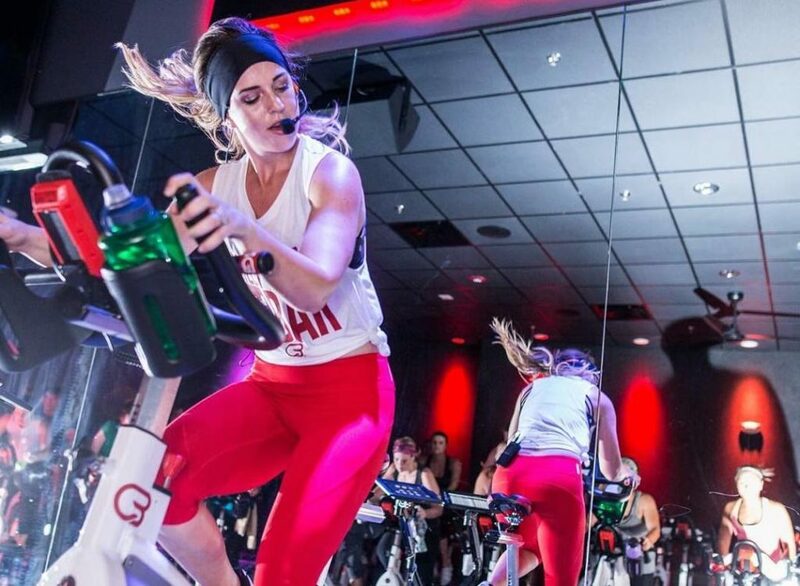 Rocket Cycle is sleek indoor cycling at its most high-tech. Hate being in front? Or love the rush of leading the pack? You can book your bike number online so you’re always sure to have your favourite spot. Just make sure you check in before class using wall-mounted iPads to avoid any late starts. And if you’re new to the studio, you can take advantage of the new rider deal (a five-class pack for $50!). Get ready to fall in love with this cardio and strength ride. Riverdale’s only premiere cycling studio is just another reason to step inside Energia Athletics, a retail and workout space also offering kettlebell, yoga, and CrossFit classes. Put the pedal to the metal on one of the 40 futuristic bikes, which allow riders to monitor performance metrics. Your stats are then sent right to your inbox after each session, making it easy to keep track of your progress. Taking up an uber-trendy space on West Queen West, this grunge-inspired spot prides itself on being friendlier and more inclusive than some of the other big name studios. Classes incorporate strength training and offer a much appreciated cool towel service at the end. But what riders rave most about are the killer themed playlists (available on Spotify), including Thug Life, Soca Spin, and, of course, Man Crush Monday rides with playlists featuring popular male artists, like our boys The Weeknd and Drake. It’s called 6IX Cycle, after all. 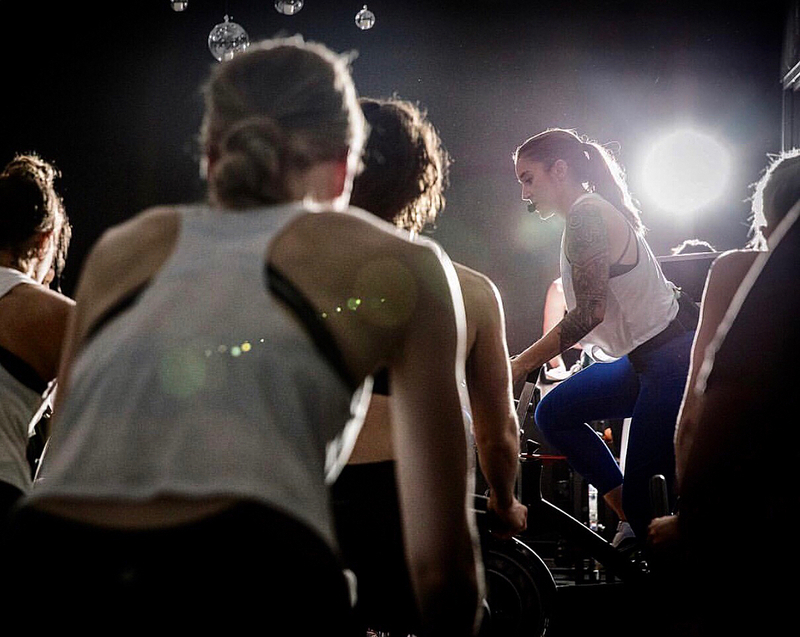 Originally launched in Vancouver, this Lower Ossington studio cranks up the tunes and dims the lights in a dark, candlelit room, making for a groovy, yet challenging, ride that emphasizes choreography and proper technique. Choose a classic 45-minute ride when you’re tight on time or from a list of rotating themed rides (think Backstreet Boys vs. Spice Girls) when you need a little pick-me-up. Classes end with a mini-meditation to set your “intention” for the rest of the day, be it mental, physical, or professional. 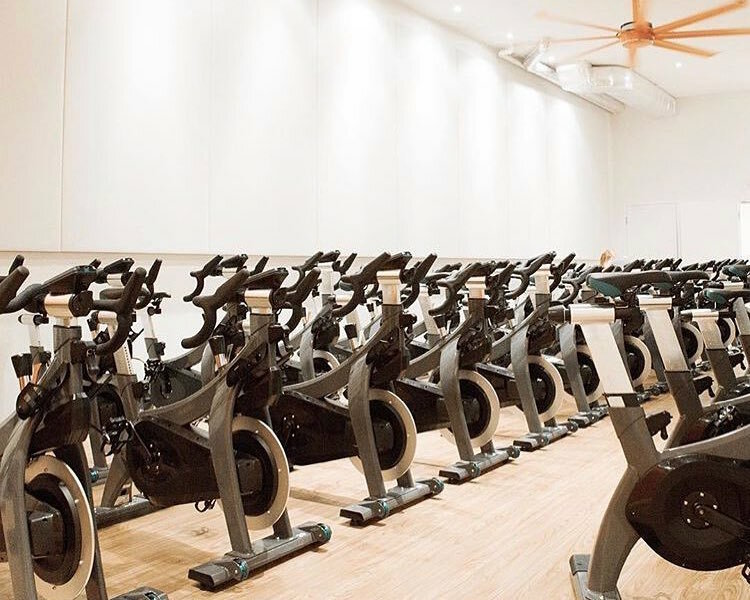 Having first opened its doors back in 2002, Quad Spin is the OG of Toronto cycling studios, but don’t be fooled by its age. Quad on King, as it’s sometimes called, is as swanky as some of its newer competitors, with prestige and a primo location to boot. Plus, it offers endurance, Tabata, and its classic Quad Ride to cater to every kind of spinner. What started out as a local running crew has grown into one of the most inclusive, community-driven spots in the city for all things running, yoga, and, most recently, cycling. 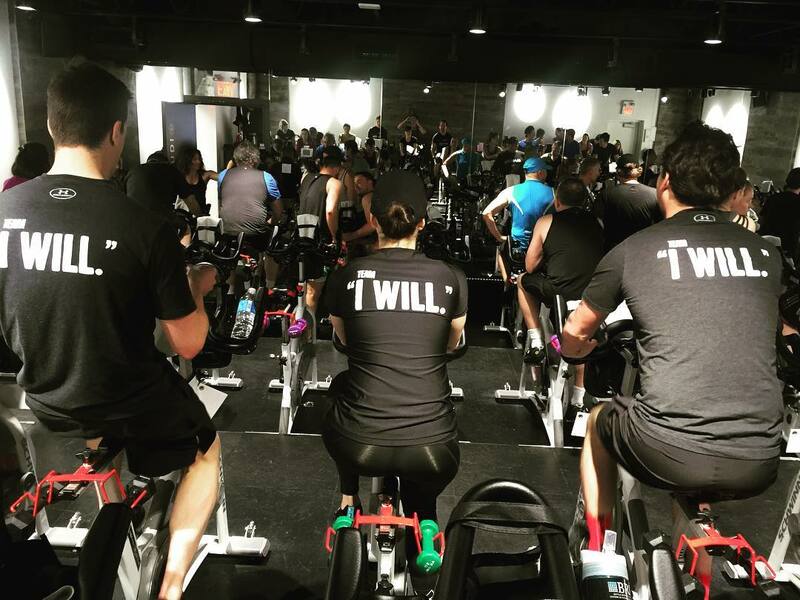 At Spadina and Queens Quay, this studio focuses on classes that mimic real riders in training, so get your quads ready for lots of hills and sprints! After one of their high-intensity classes, data from your bike will sync with Tribe’s free app, so you can track your performance and set future goals.